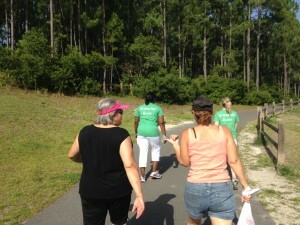 Get outdoors and exercise with New Hanover County Parks & Gardens! Join us at Summer Rest Trail for our August Wellness Walk featuring Brian McKeever, Physical Therapist and owner of Lumina Wellness & Physical Therapy. Brian will start the program off with a brief talk and then lead the group on a walk on Summer Rest Trail.